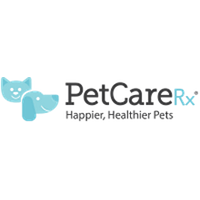 ● PetCareRx announces current promotions in the banner on top of its website. Coupon codes will also be provided here. Available discounts usually range from 20-50%. ● Take advantage of free shipping for orders that amount to over $35. This offer is ongoing. ● PetCareRx’s Scratch & Win program awards its loyal customers with points that can be redeemed for discounts and other rewards. You can earn 1 point per $1 spent on any product, 2 points for every $1 spent on medication and $3 off your purchase for every 100 points collected. ● Coupons are regularly available and will take between 15-50% off your entire order. These coupons present a good way to save, since they are applicable sitewide. Some might involve a minimum purchase of $35-$75. Further coupons exist for free shipping without minimum amount. If you sign up for an account in the top right corner of the website, you will receive emails with information on discounts and sales delivered to your inbox. Pet Care RX is an online site dedicated to helping pet owners get their hands on medications and wellness supplies for their pets. Catering specifically to individuals that have dogs, cats, as well as more exotic animals, all of the medications and health supplements provided by this company have been manufactured in FDA certified facilities and are considered to be amongst the very best solutions available. Most of these products are significantly less expensive than the ones that could be purchased directly through a veterinarian or at a local pet supply shop, and those that purchase at least $40 or more worth of merchandise will be able to have their product shipped free of charge to them using US standard ground delivery services. International customers can also order from this company, though they'll have to pay custom shipping rates. For most up to date offers check out PetCare RX on Facebook and Twitter or contact PetCare RX Support for any questions.